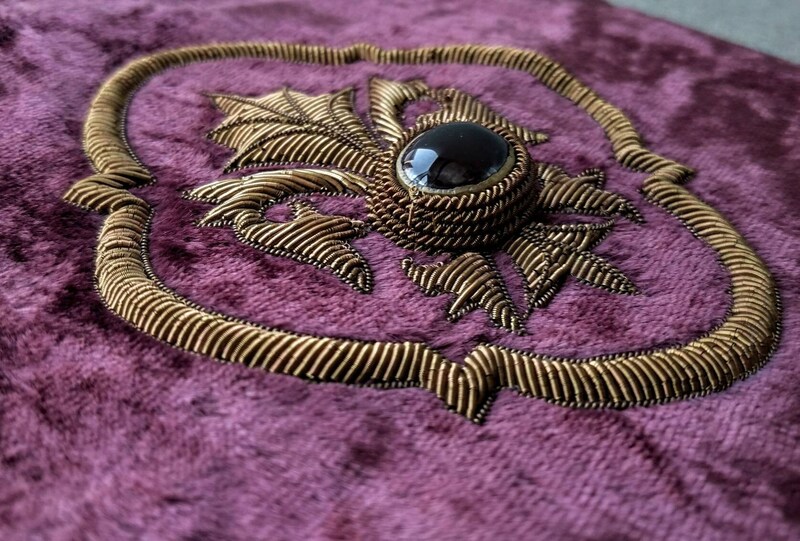 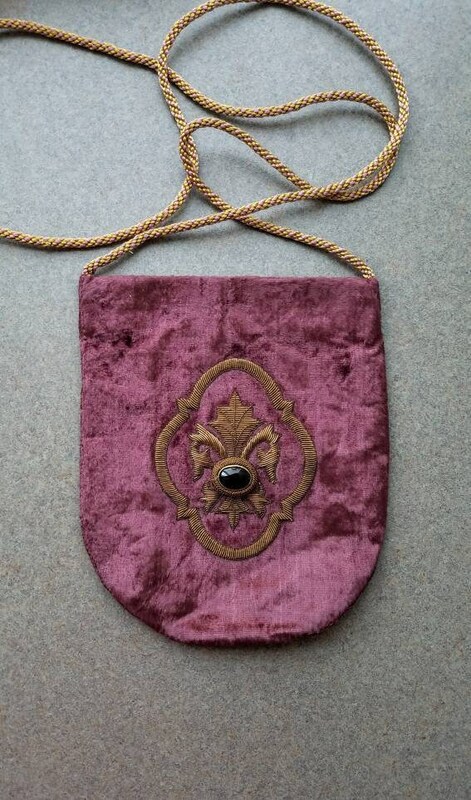 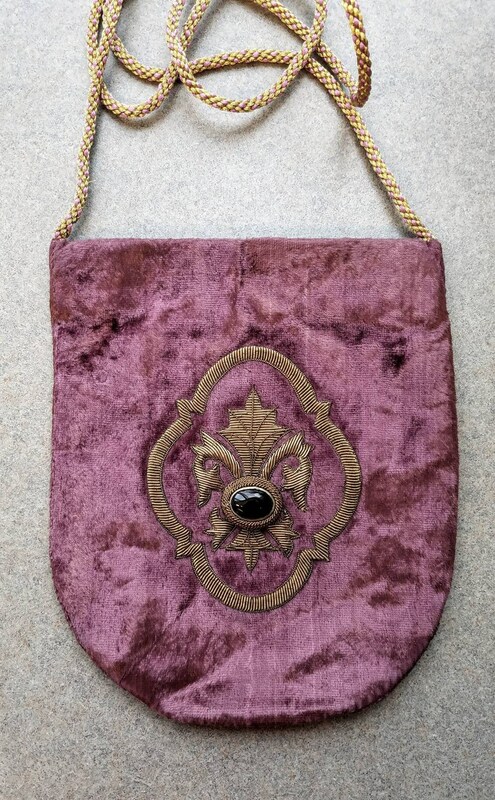 Stunning and original hand embroidered crossbody bag on a rich purple/mauve crushed velvet. 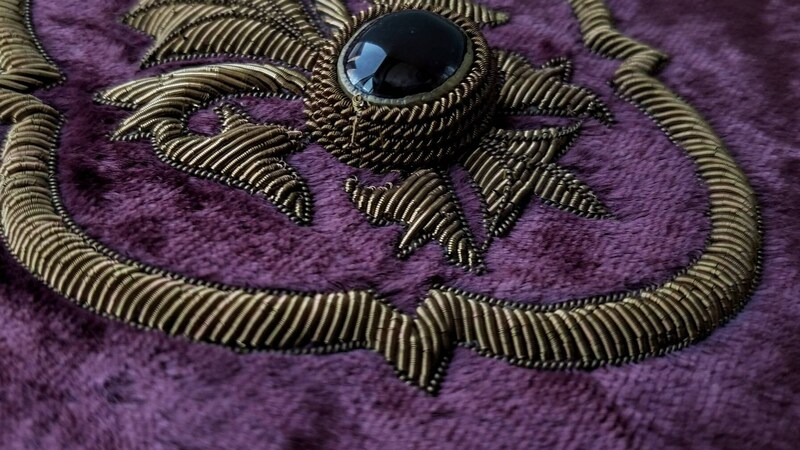 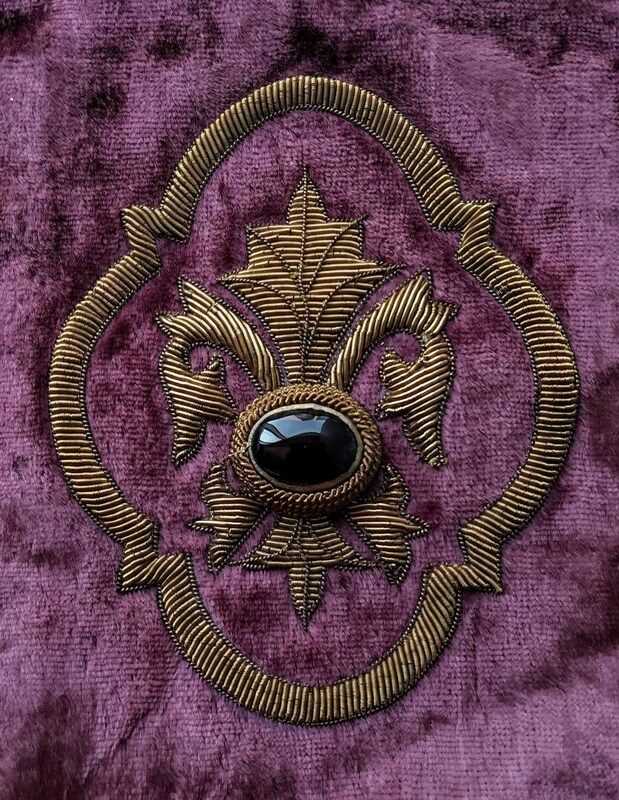 Stunning central medallion - raised fleur de lys, in copper colored metallic threads, accented with a genuine black onyx cabochon sewn in, and outlined in an ornate raised border. 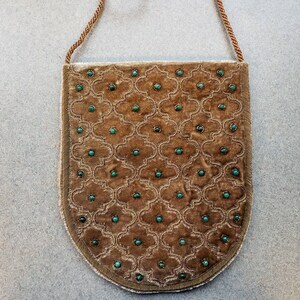 Measures 8" L x 7" W. Top zippered opening 6 in. 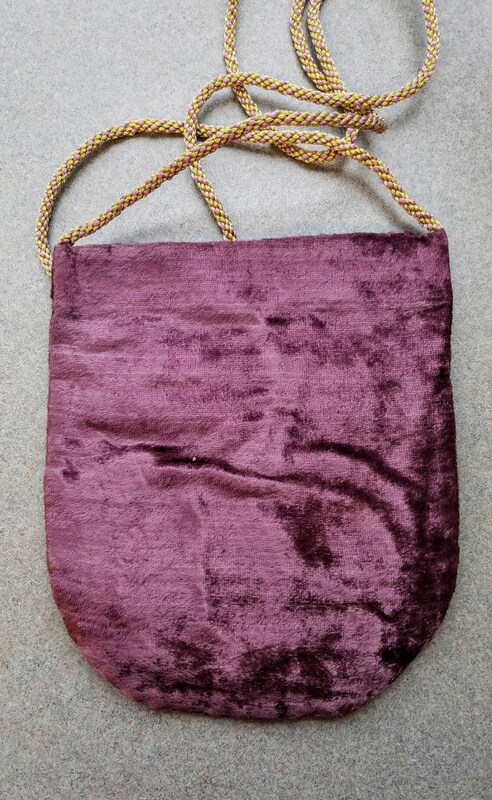 Interior fully lined in mauve fabric with an interior pocket 4" W x 5.5" L.
Attractive 30 in long woven cord strap in metallic copper and mauve. 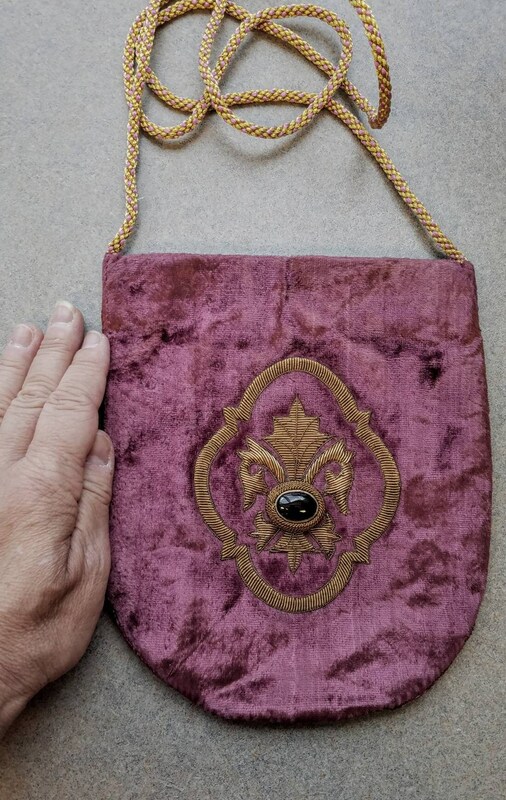 Adjustable length by tying a loop in it. 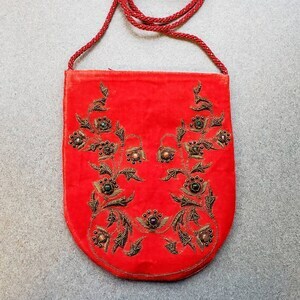 This bag was made by a master craftsman in Agra, India, for an exhibition in France. 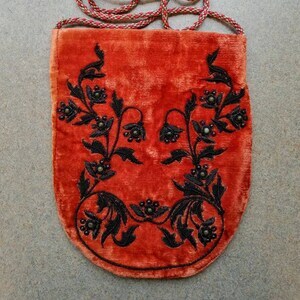 Great gift for a Francophile. 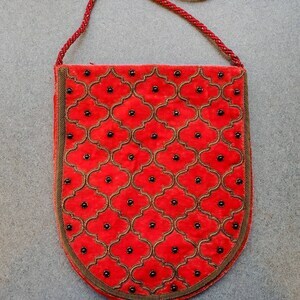 Or your French teacher!